By the time George IV took the reins as the Prince Regent, England was the most powerful industrial nation in the world. Centres of commerce sprung up, bringing with them an increase in population. By the end of George IV’s reign, the “working class” had come into its own. These workers demanded housing within the towns they worked. New parcels of land were developed within the urban areas, especially in close proximity to the mills at which the people worked. Speculators developed the land, providing housing to the semi-poor and collecting rents. Oversight committees predetermined dimensions of the houses, but the quality of the materials used to construct the buildings and the workmanship involved were not. Builders often skimped on the quality of the work because the cost of building materials had skyrocketed during the Napoleonic War years. However, even after the war ended, the practice continued. There were large profits to be made and no one to stop the practice. 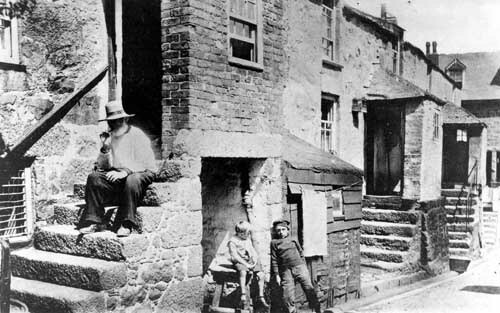 Working class life in Victorian Wetherby, West Yorkshire, England. Bishopgate, a former slum area in Wetherby. 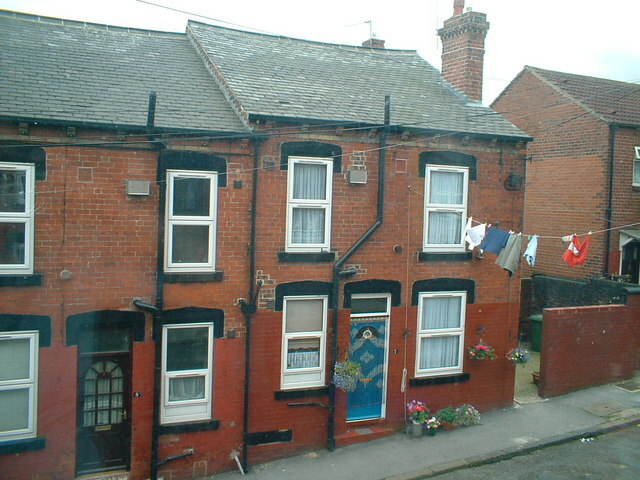 No proper streets existed for much of this housing. Poor sanitation, rubbish piles, and lack of fresh air marked the houses – sometimes more than 100 in total per acre. Older buildings within the urban areas were torn down and multiple houses replaced them larger one. In addition, many of those who came to the towns from the country had brought their livestock with them. Pigs, chickens, pigeons, etc., took up what land was available and added to the smell and filth of the city. 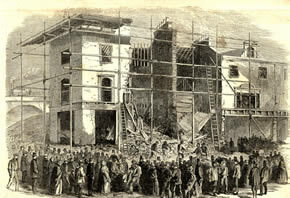 This entry was posted in British history, buildings and structures, George IV, Georgian Era, Great Britain, Living in the Regency, Living in the UK, Regency era, Victorian era and tagged architecture, building, construction, industrialization, jerry building, Regency Era, Victorian era, working class. Bookmark the permalink. 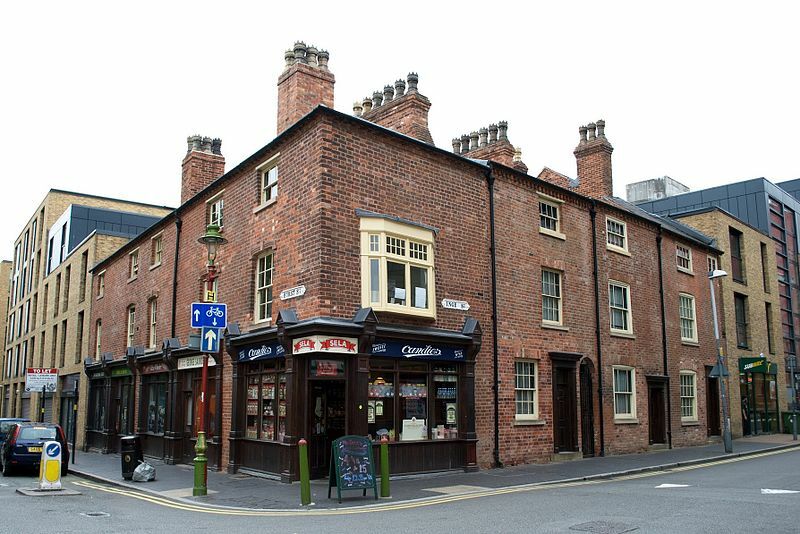 These workingmans houses were I believe the forerunners to what became the “council house”, I actualy grew up in one, In fact it seems it was once the largest in the world, ……. I cut and pasted that from this site which seems in a way to follow on from your post, it’s rather long but may interest you. My parents were two of the original people on the estate moving onto it in 1931 just after the were married, we lived there right through the war and left in February 1951 when we migrated to Australia. This was fascinating, Brian. You have sparked my curiosity to learn more of LLC and the living conditions. Thank you. That’s an interesting look into the working classes’ life in Regency/ Victorian England! I didn’t know much about them as they are generally “invisible” in art/ literature of those times. Do you know where I can find more information about them, other than the Victorian Web? There is a free Google book entitled “American Victorian Cottage Homes,” which has diagrams of these types of cottages. There is also a book I particularly like. It is entitled The Period House: Style, Detail & Decoration (1774 – 1914). It is by Richard Russell Lawrence and Teresa Chris. I think many architectural sites would also prove beneficial.